Brandon wins it! 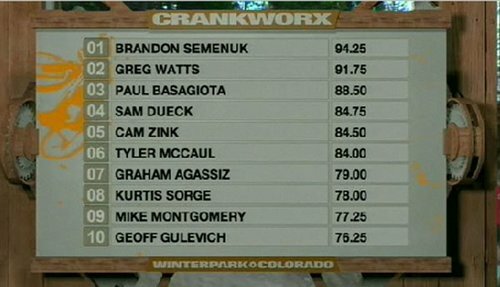 Watts in second, Paul Bass takes third, T Mac in fourth and Sam Dueck rounds out the top 5! Watching the live feed is so addicting, but we are loving it! 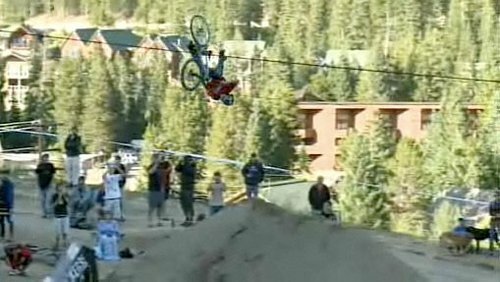 Local boy Sam Dueck is up there exchanging tricks with the top riders in the world! Everyone threw down hard today and the results show who is on top right now! Yeah but Semenuks run was smoother and he has better style so..
what ever happened to ben boyko? Does anyone have pics of the Claw doing that huge ghost ride? lmfao best trick of the day. He knows how to trash a bike thats for sure. personally think mike montgomery should have been higher, the dudes on a hardtail and 1 of his runs was amazing but they scored him fairly low!!?? ye i agree he should've been scored higher, the side-saddled backflip was insane and his run was so much more creative and different compared to others. Agreed he really stood out from the others and thats forgetting about the HT!!! Yea id say top 5 atleast :@, 9th whaatttt?. 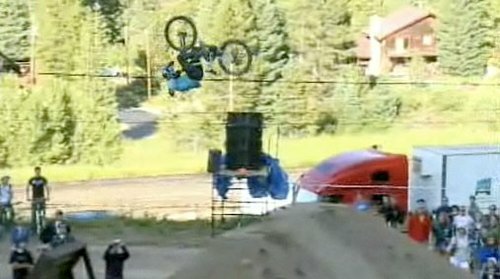 So does Sam Dueck get invited to Whistler slopestyle now? My understanding is that 2 spots were open from this comp, and I'm pretty sure all the people ahead of him are already invited. Second that. Great job PB. Transmission was good, updates where great and having Brantley on location with photos was sick. Ya guys killed it. Nice work. Do it again for Whistler. Did Semunk just take one run that held for the whole contest? I didnt see the whole thing. They should change the rules IMO so that you have to keep doign runs, not these "victory" runs. Do that after 3 awesome runs, not one. no thats silly he stomped it all on his first run,hes just that good,ig he had crashed on his first run it would be different but he didnt.if he wanted to relay throw something down after his winning run he could of but thats not how he usualy rides,he just does crazy tricks on every stunt realy smooth and more flowy then anyone else. nah changing the rules is stupid. they take the good runs if theyre confident that itl win it for them, theres still a risk of them losing the comp if they do it. 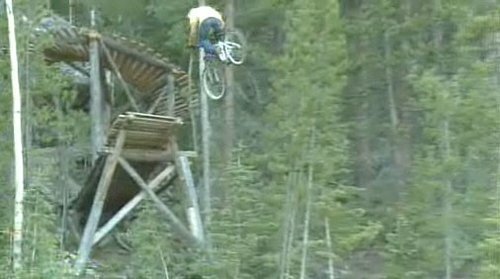 Its also a way to play it safe for following comps like Whistler Crankworx. 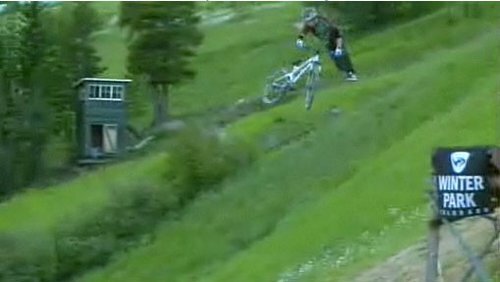 If Brandon had done another run that he didnt need and then crashed and broke himself he would miss out on the rest of the season. its just smart thinking. DUDE! the video totally sucked 4 me! I am at my aunt's house and they have dialup! I couldn't even watch the stream 4 3 seconds without it freezing 4 3 hours! LOL people still have dialup?!?! I thought that went the way of VHS. 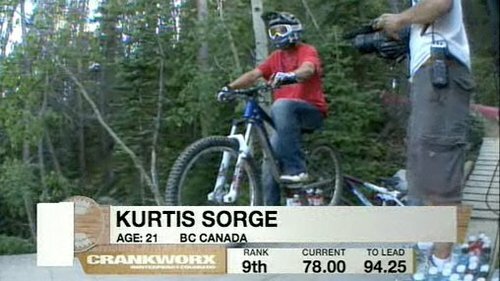 fell out of the slopestyle scene he seems to be more into building and shooting for movies these days. There should be more often!!! How many people watched the thing. me and 1200 others. lol. 1500 people in the chat room at the same time I meant how many watched.I bet there was at least 3000 people watching it minimum cause most people don't do the chat and it was on a few diffrent websites too. Is it possible to watch the event again? 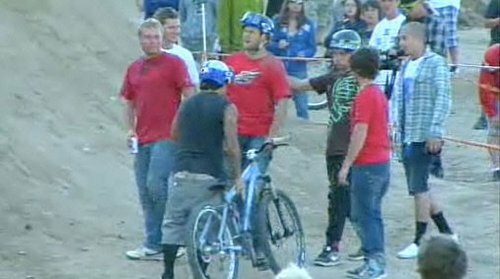 someone can tell me where were cam McCaul? ya i noticed that the whole time. ya dude i hope they do. great idea with this livestream! thx pinkbike! yeah i really enjoyed the live feed! hope they do one for whistler as well as some other events! Yeah the chat was really cool actually, but of course being the first usage of it, there were some mod issues. I just wrote the chat software the night before so it was cool to see that it worked. I think I'll develop it some more and create more functionality. lol i was just riding with brandon like a week ago. congrats. YEAH sam dueck, good job! 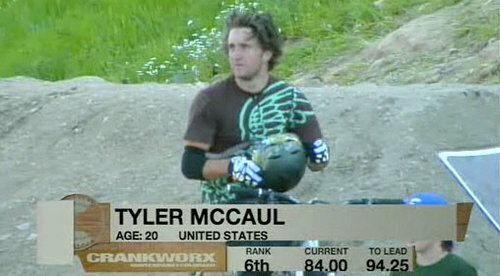 props for tyler, looks like he's starting to live up to McCaul name. is there any replay of the final runs ?